I like to have something sweet on hand most of the time. Usually I enjoy it with a cup of coffee in the evening or as a snack during the day. Sometimes I make a batch of cookies and other times I make a cake or some cupcakes. I even make quick breads sometimes. On occasion I start looking for something different. I’ve made biscotti in the past and it goes really well with both hot tea and coffee. 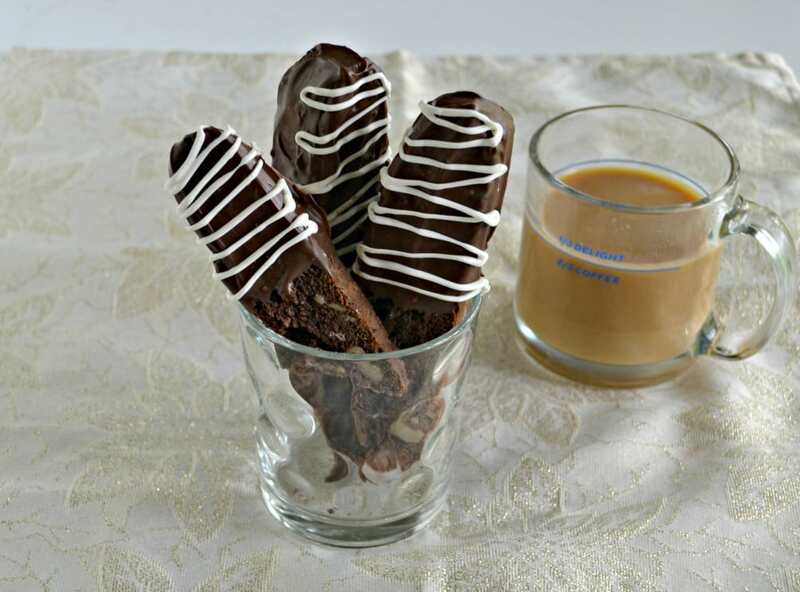 I like biscotti because it stands up to being dunked into a hot beverage and they last longer then regular cookies. However, I don’t like that you have to bake the biscotti two different times because it takes a long time. 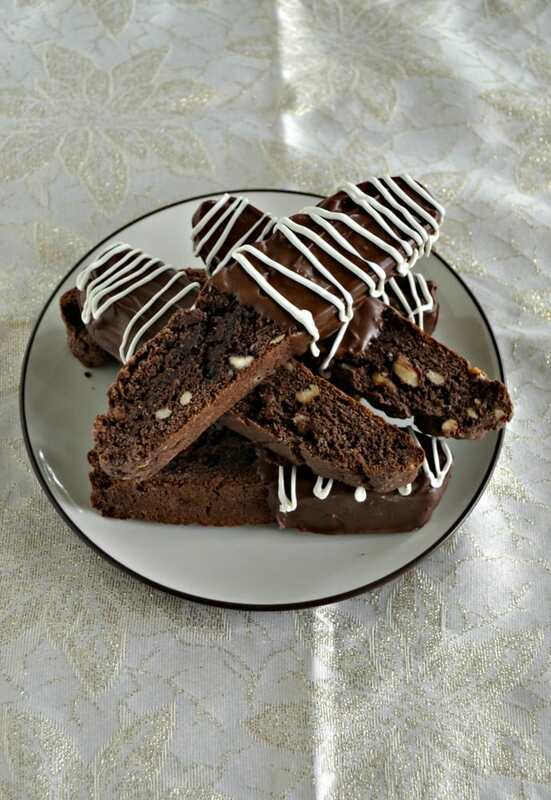 I did really enjoy this Brownie Mix Biscotti. While it is still baked two times the batter is really easy to make because it starts with a brownie mix. 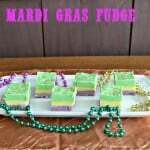 I added in both white and chocolate chips to give it some color and texture. Then I added walnuts to the batter. You can add your favorite type of nuts or just leave them out all together. Like traditional biscotti this version is baked in a loaf then taken out, sliced, and cooked for a second time. 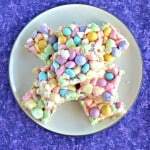 You can leave them as they are for a tasty chocolate cookie treat or you can jazz them up. I dunked mine in milk chocolate and then drizzled it in white chocolate. You can also dip them in dark chocolate then roll them in walnuts. Anyway you decorate this biscotti it’s delicious! At the core the biscotti is crunchy and tastes like chocolate. The chocolate chip and white chocolate chips add more flavor and the walnuts add some texture. I enjoyed mine with coffee and it was the perfect afternoon snack. A crispy chocolate cookie studded with chocolate chips and walnuts then dipped in chocolate. 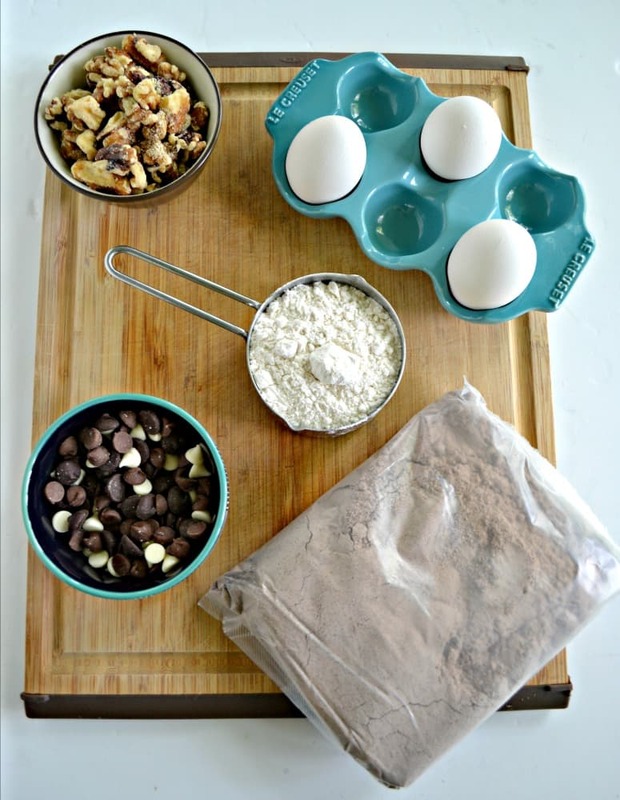 In a large bowl combine the brown mix, chocolate chips, white chocolate chips, vegetable oil, eggs, and flour. Mix until well combined. Fold in the walnuts. Line a cookie sheet with parchment paper. Pour the batter onto the parchment and shape it into a 4 x 13 inch log. Bake for 25-30 minutes or until the cookie log looks cooked. Remove from oven and allow to cool for 5 minutes. Meanwhile, reduce the oven temperature to 300 degrees. 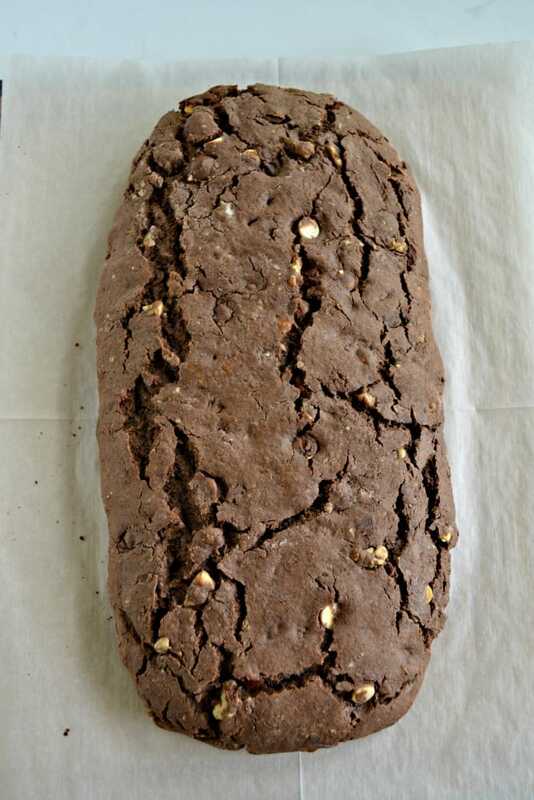 Remove the brownie biscotti loaf and place on a cutting board. Using a serrated knife, cut into 15 pieces each about 1 inch thick. Place the pieces cut side up back onto the parchment lined cookie sheet and baked for 12 minutes. Place the milk chocolate chips in a microwave safe bowl and microwave in 30 second intervals, stirring in between each heating, until completely melted. 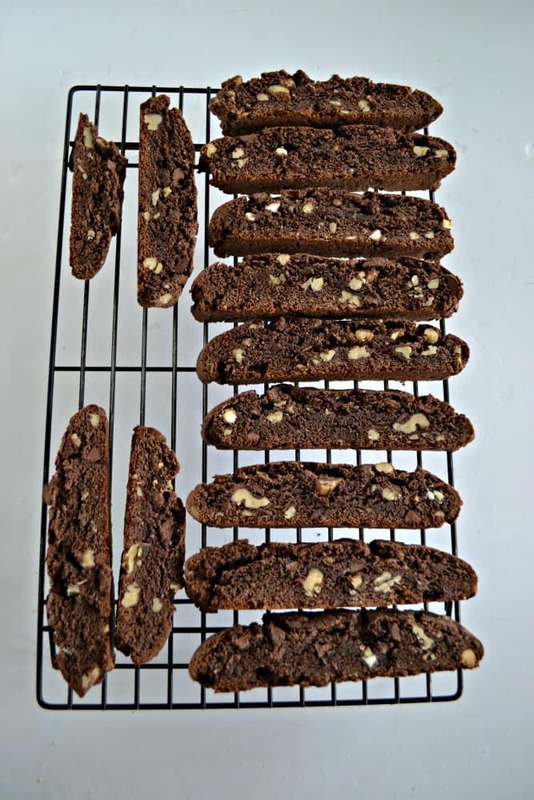 Dip one half of each biscotti into the chocolate and set on a piece of parchment paper. Allow the chocolate to harden for 15 minutes. Place the white chocolate chips in a microwave safe bowl and microwave in 30 second intervals, stirring in between each heating, until completely melted. Pour into a zip top baggie and snip off the end. 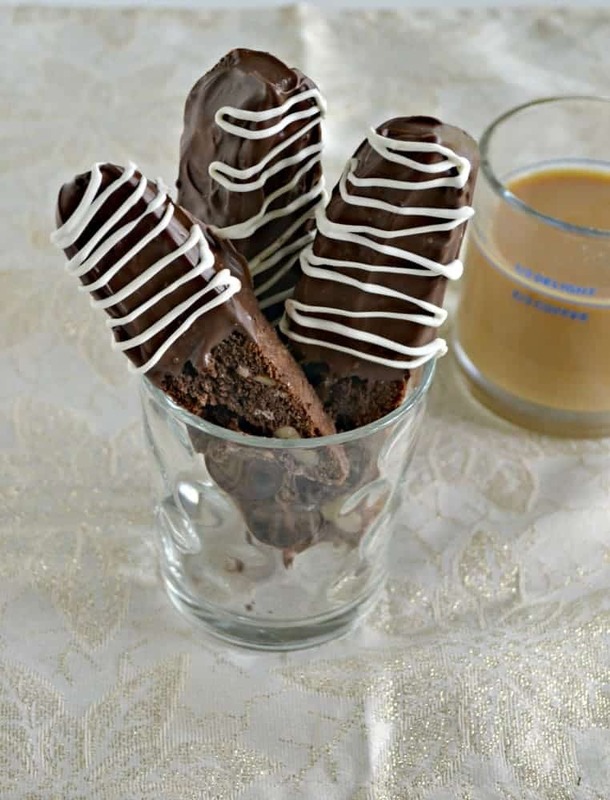 Drizzle over the chocolate covered half of the biscotti. Allow the chocolate to harden then store in an air tight container. Have our batch in the oven now…. thank you for the wonderful recipe. Merry Christmas ?? I hope you like them! Let me know! They are wonderful………Thank you again.